Sensational news are out claiming that Manchester United boss Sir Alex Ferguson will have £60 million to spend this summer. The Daily Star reported that Fergie will be rolling in cash for new signings after Manchester United released best-ever financial figures. The Premier League champions turned over £92m in three months alone in the third quarter, according to figures released to the New York Stock Exchange. 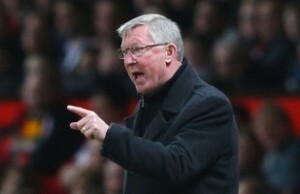 Ferguson is determined to make United an even bigger powerhouse as he chases more silverware before he retires. His list of targets includes Cristiano Ronaldo, Leighton Baines and Robert Lewandowski.